Don joined the ATA Comp Fund in October of 2013 as Chief Operating Officer and has been instrumental in developing and implementing the models that have led to the resulting energetic and valuable success of the Fund. Prior to the Fund, Don retired from a 30-year tenure in the insurance industry as a commissioned commercial lines producer. Don also retired from the United States Army in 1995 after 20 years of service, both active and reserve military. During his military career, he performed with the United States Army Band and was a member of the 121st MMTT (Military Marksmanship Training Team) and competed throughout the country in long range rifle competitions. Don is a graduate of the University of Montevallo and lives in Montgomery, Alabama, with his wife Sharon and a Pembroke Welsh Corgi named Sizzy. In his spare time, he enjoys fishing and golfing with his close friends, spending time at the lake, teaching new things to his grandchildren and performing music. 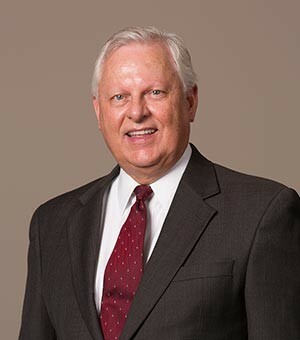 Don currently serves on the Board of Directors of the Montgomery Symphony Orchestra.